8 – Remote Thermal Sight: Another welcome new model kit of a NATO subject. This time Trumpeter send us a kit of a subject that is being used by many western armies, in this case, the German Bundeswehr. The truth is that the kit may have some flaws to make the MARS variant as described on the box, but the model is really nice and well detailed for a M270. As Trumpeter will release many different variants, we are sure that they will release one that will fit your taste. 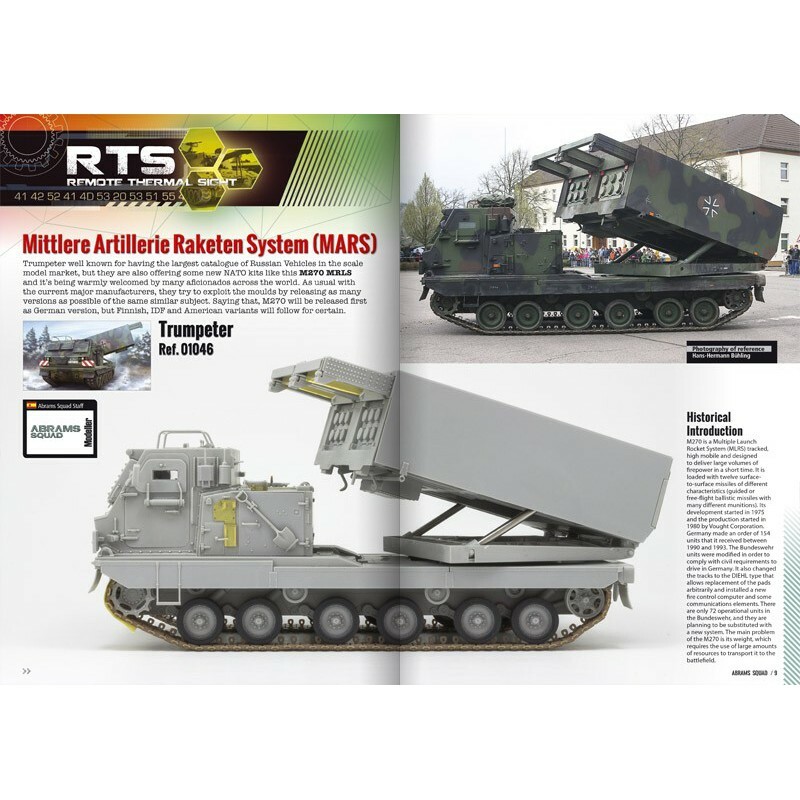 So this article will be of interest for all those forthcoming kits of the MLRS. 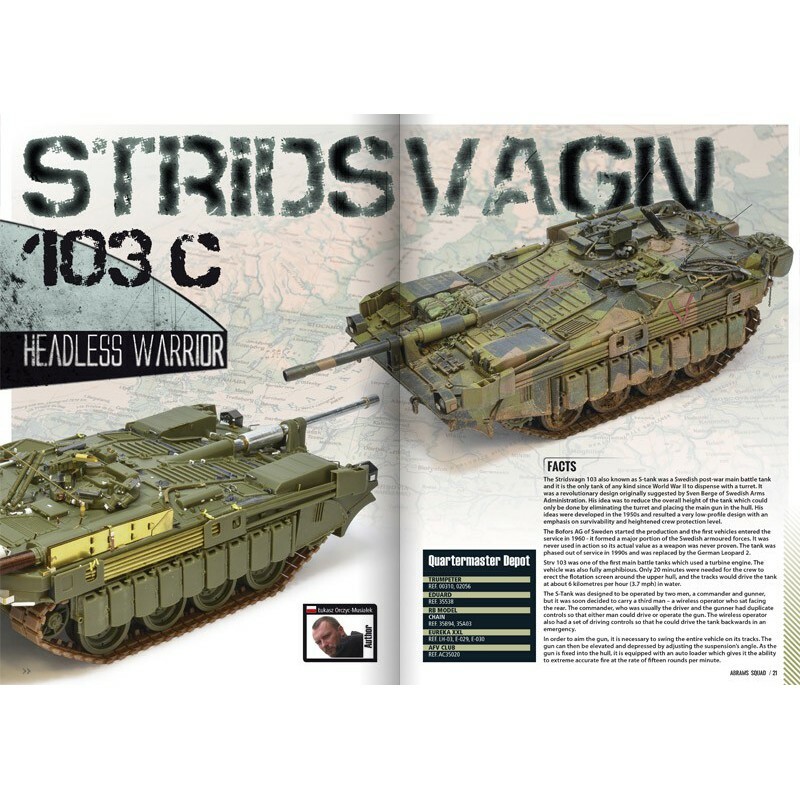 20 – Stridsvagn 103- Headless Warrior: Without any doubt this is one of the oddest looking tanks in modern history. Although Łukasz Orczyc-Musiałek may dislike this subject he managed to make one of the best looking miniatures of the year. This Swedish turretless tank has amazing camouflage and a paint chipping work, but the building and detail up will leave you speechless. 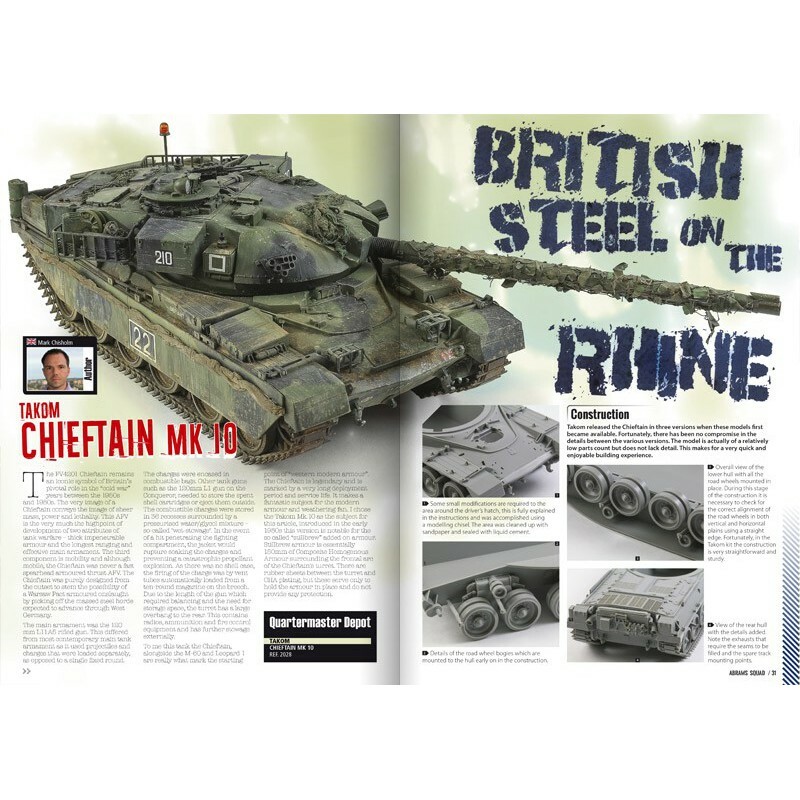 30 – Chieftain Mk.10 - British Steel on the Rhine: Mark Chisholm made this Takom kit out of the box masterly. The scheme of the BAOR is so interesting if you know how to weather it and add some interesting points like camouflage netting. Mark will show you how to easily represent the camouflage and how to play with dust, mud and chipping to give life to that dark base. 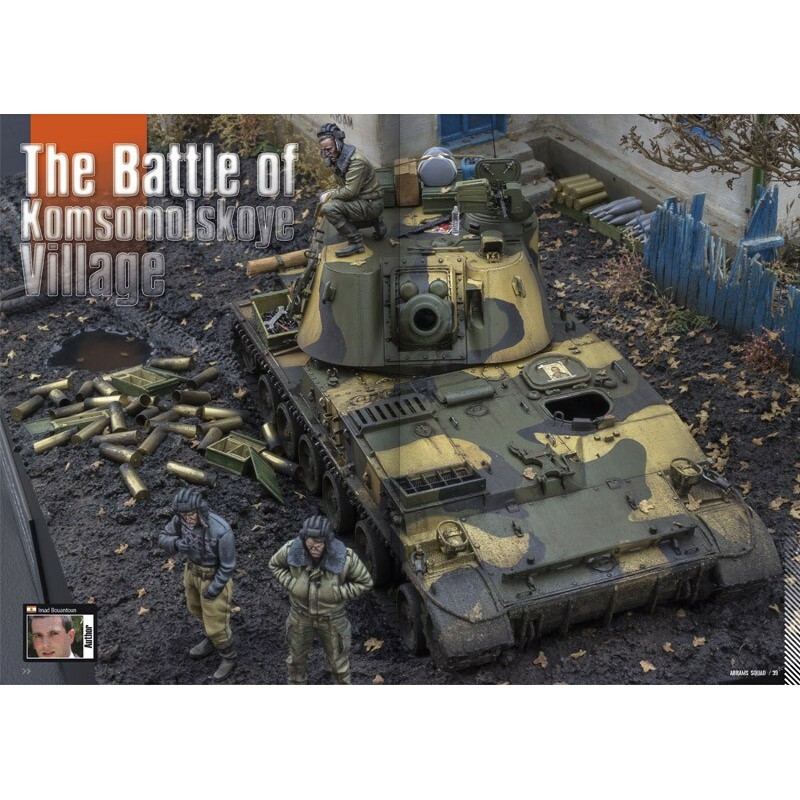 38 – 2S3 Akatsiya - The Battle of Komsomolskoye Village: To make dioramas is always complicated, and having a wide collection of them, of many different subjects is a dream for many modellers. Imad Buoantoun is one of those modellers, and he achieve his goals with first class results. Specially interesting is the construction of the house and terrain, but also the dark black mud applied to the vehicle. 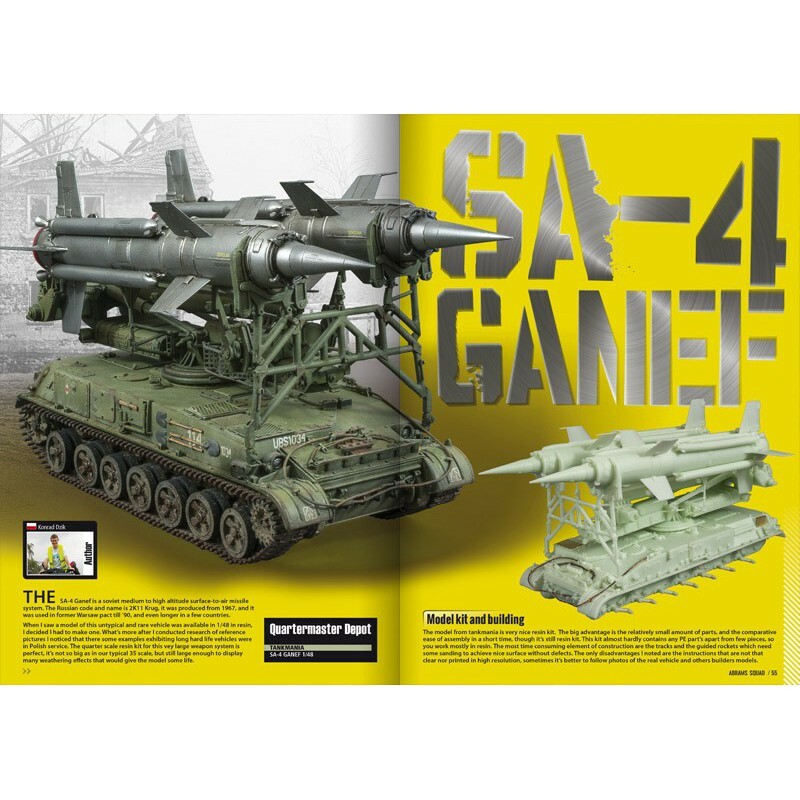 54 - SA-4 Ganef - 1/48 resin kit: Yet another new signing for the Squad, Konrad Dzik deals with one of those kits that are really hard to build, because resin kits are normally more difficult to construct, but if the subject is so intricate and complex like this one, the challenge is even bigger. You will enjoy this article and the different techniques: metal painting for the rockets and green paint for the launcher. 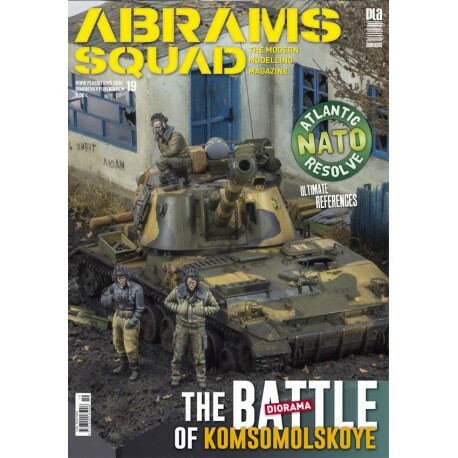 66 - Atlantic Resolve: Abrams Squad is always trying to bring you the best references to inspire you to make new builds and dioramic scenes. 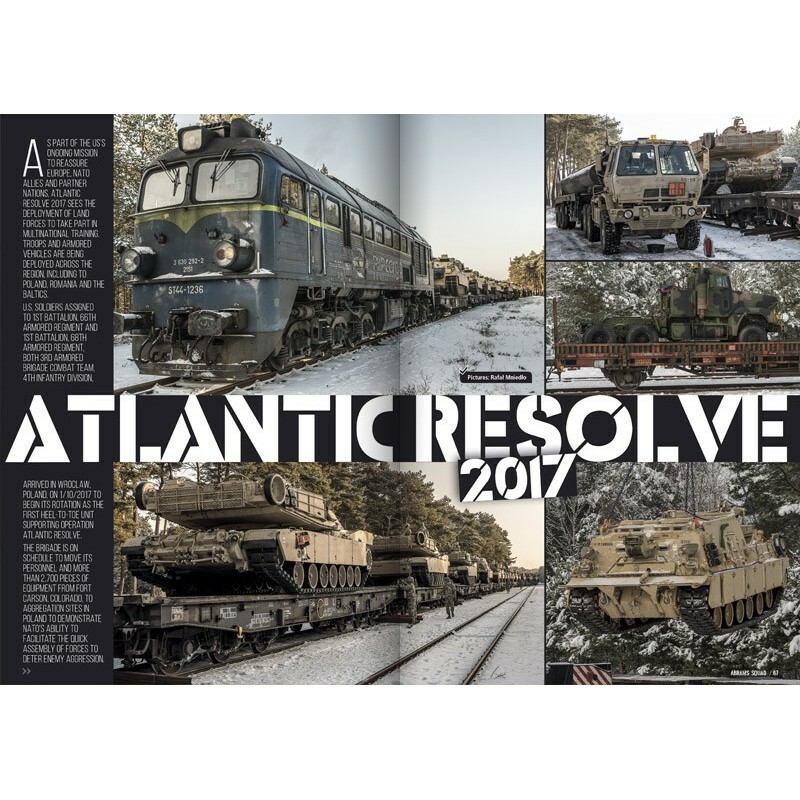 This time we publish some spectacular images of the NATO military manoeuvres Atlantic Resolve that were conducted in Poland.